Before the improvements to golf clubs in the 20th century, golfers used a handful of crude clubs of various sizes to play the sport. In terms of these golf clubs, the "mashie" was the historical version of what would now be considered a 5-iron club. This wooden-shafted, mostly pre-20th-century club was highly different from the modern 5-iron, though, and it would thus be incorrect to call a modern 5-iron a mashie, but still, in its loft and in use (or practical application for the tool), the 19th century Mashie club was the early predecessor to the modern version. 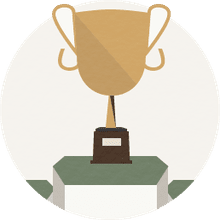 By the 1930s or 1940s, though, golf clubs like the Mashie and its relatives the Mashie Niblick and the Spoon, had mostly been phased out of modern competition, replaced by named varieties most players use today. For those born after 1940, golf clubs have always been identified as a number, but before the craft of making clubs was revolutionized and standardized in the 1930s, golf clubs were each known by a uniquely different name. 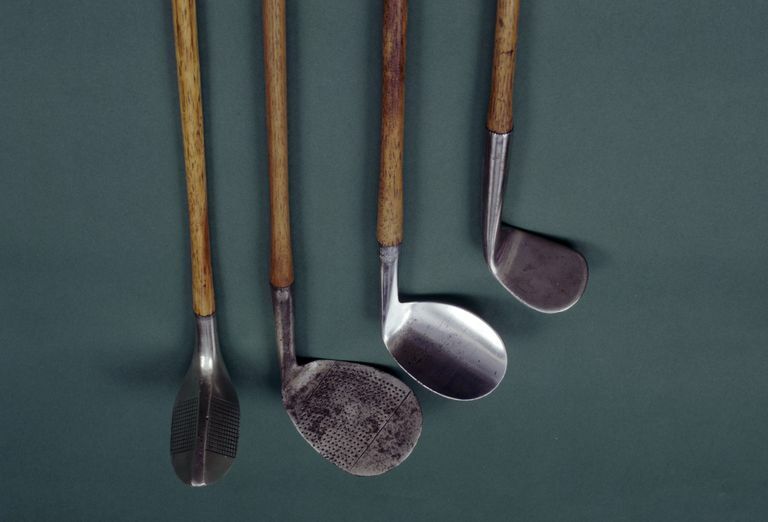 Since the early days of golf in the late 19th century, names like Mashies, Niblicks, Cleeks, Jiggers, Baffies, Spoons, and others were used to identify the clubs, which served similar functions to their modern counterparts, though were often vastly different in design and difficulty of use. The Cleek was the early version of the driving iron, most closely associated with 1-iron and 2-iron use while the Mid Mashie was used like the modern 3-iron; the Niblick was used like the modern 9-iron while the Jigger was used like the modern-day Chipper (used for short shots meant to launch the ball up out of an obstacle or the rough toward the green. Even the replacements for these golf clubs in the 1930s and 1940s became obsolete themselves as modern hybrids hit the market, easing the flow of a golfer's game and lightening the load for caddies across the professional and amateur circuits. The 1-iron has virtually disappeared from the modern world of golf, as has the 2-wood clubs, which have both been replaced with modern hybrid forms that far outperform their predecessors. The 2-iron, too, is sometimes used by the best golfers, but is far too difficult for amateurs and rarely found in the golf bags of recreational players as most manufacturers have stopped selling them. As with all industries, new innovations and technologies allow players to improve their scores, their abilities, and their equipment easier and more quickly than ever before, so like the Mashie and the Cleek before it, even the 5-iron might one day be obsolete.